Although for me Rhapsody Of Fire have always embodied the appeal of the Symphonic Metal genre, I felt that the band’s last few albums struggled to recapture the magic of “Symphony Of Enchanted Lands” (1998) or “Dawn Of Victory” (2000). 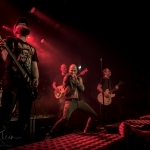 So, amidst all that, where does new album “The Eighth Mountain” stand? It’s worth noting that this marks the full-length recording debut of drummer Manuel Lotter and singer Giacomo Voli (not considering the retrospective “Legendary Years”). In my mind I will always have Fabio Lione as the de facto voice of Rhapsody but Voli is really very good, perhaps slightly less operatic than Lione but there’s a lot of emotion in his singing. 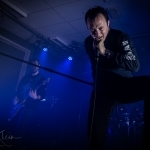 Keyboardist Alex Staropoli is the only remaining member of the original line-up and he is now also more active in writing the band’s lyrics. 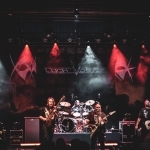 The songs in “The Eighth Mountain” are mostly very well written – compared with Rhapsody’s back catalogue I get the impression that there seems to be a slightly greater emphasis on heaviness rather than the symphonic paradigm. This is particularly evident in ‘Seven Heroic Deeds’ where, incidentally, we find Lotter in top form. Even Staropoli’s keyboards augment the music’s impact rather than ‘merely’ add pomp and drama to the music. But what of the songs themselves? ‘March Against The Tyrant’ and ‘Tales Of A Hero’s Fate’ showcase Voli’s impressive talents. ‘Clash Of Times’ sounds as if it was taken from an Yngwie Malmsteen album. ‘The Courage To Forgive’ contains some excellent guitar shredding. ‘Tales Of A Hero’s Fate’ provides an epic conclusion to the album and, curiously enough, features some Black Metal vocals. It would be interesting to hear more of these vocals in future as I feel it enriches the album’s dynamics further. The same ‘Tales Of A Hero’s Fate’ also features a narration by Christopher Lee. Considering Mr Lee passed away more than 3 years ago suggests Staropoli had been planning this album for quite a while. 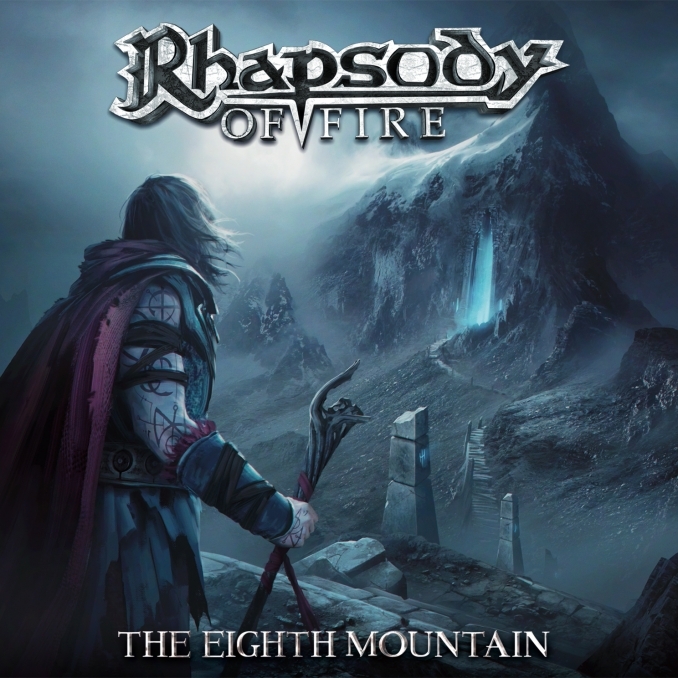 For me, one of the greatest things about “The Eighth Mountain” is that Rhapsody aren’t just rehashing the same music…they do sound like a band that is evolving. My rating falls short of a perfect score mainly due to ‘Warrior Heart’ which I felt is the album’s weakest link. But there’s no doubt about it…I haven’t felt this excited about a Rhapsody Of Fire album for quite a while.